Oh, boy! 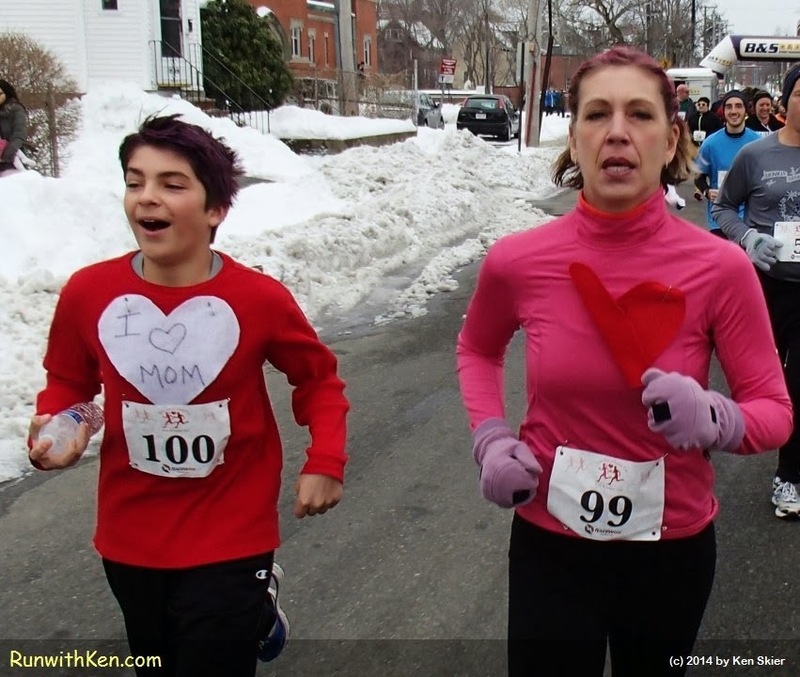 This is one HAPPY MOM--running with her son at a VALENTINES Day Race! 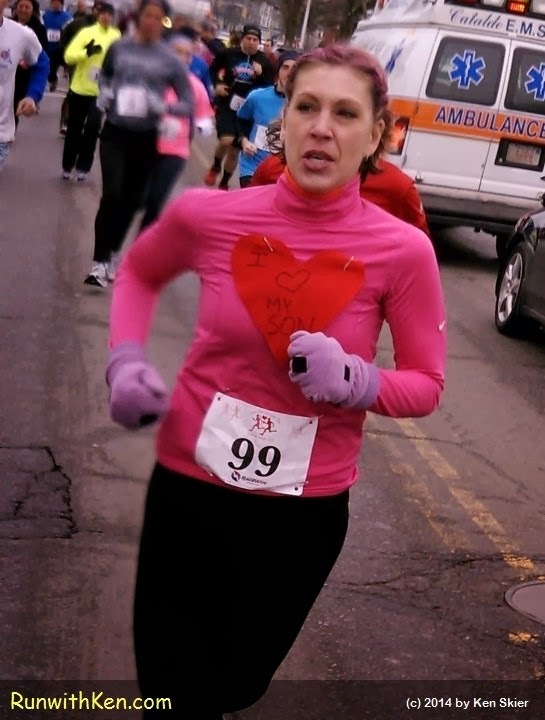 at a Valentine's Day race. See the big heart pinned to his shirt? It says "I Love Mom"
saying "I Love my Son"! I took these photos as I was running. These two were just behind me.